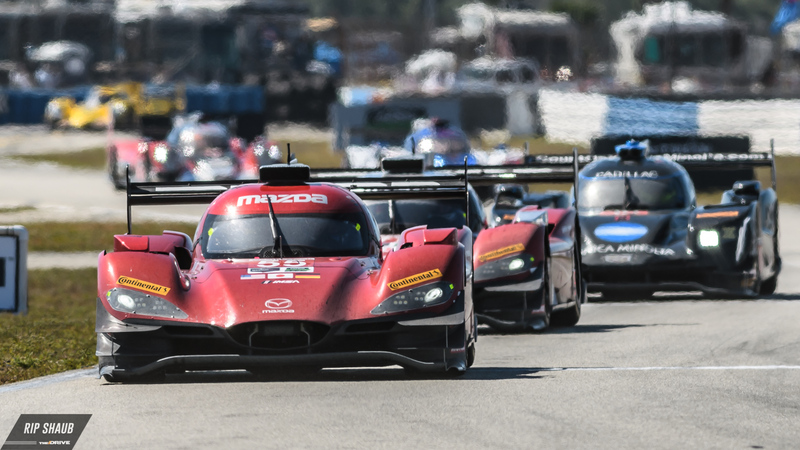 The IMSA WeatherTech Sportscar Championship is in stride to its third race of 2018 after a pair of endurance competitions at Daytona and Sebring. With the Bubba Burger Grand Prix at Long Beach next on the calendar, teams are preparing for a drastically different event which ties for the shortest race of the season at just 100 minutes. On Saturday, 22 cars will be packed into the tight city circuit, and a grid of veterans and past-winners hope to recreate positive results at the Californian sprint opener. This year's event reverts back to a two-class field—Prototype and GT Le Mans—with the pro-am GT Daytona category staying back for the contest. This opens up the congested course for the remaining entries to compete while also "changing the nature of the race," as Chip Ganassi Racing Managing Director Mike Hull told The Drive in an interview. As a result, teams will need to focus on racecraft and strategy to land a decent finish while keeping the short time-limit in mind. Long Beach presents an exclusive set of challenges to those within the sport. While entrants may not have to worry about endurance at this contest, they'll have to be equally as careful of pace as many take an all-out approach, potentially putting others on-track in peril like we saw at last year's race. Some have got this practice down pat, but don't look for them to coast easily onto Shoreline Drive with hardware in-hand. Here's a prompt briefing on storylines to look out for at the race's 2018 running. 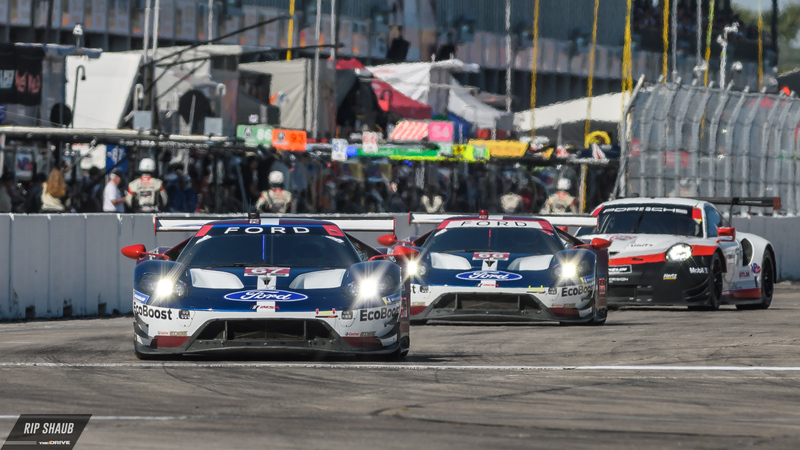 At the season's start, it looked like Chip Ganassi Racing's Ford GT twins would have a clear advantage in 2018. Then, at Sebring, Porsche showed its mettle by putting two cars on the podium with BMW intersecting the pair in second place. Corvette Racing stands on the outside with its due nearly reached, and the GM-backed team hopes to defend its victory at Long Beach from last year. The crew in yellow does tout some exceptional achievements at this race. Oliver Gavin, pilot of the No. 4 C7.R, is the winningest GTLM driver in the field with four Long Beach victories to his name. His teammate Tommy Milner also has a pair of wins as does Jan Magnussen, driver of the No. 3 Corvette alongside Antonio Garcia who boasts a class victory at the event from 2014. Chip Ganassi & Co. will be looking to revisit the rostrum as well. The team came within shouting distance of P1 at 2017's Long Beach Grand Prix and its drivers have plenty of experience there from past contests. The No. 66 car's Dirk Mueller has won twice at the SoCal event and his teammate Joey Hand joined him on Victory Lane in 2011 with BMW, the duo's former crew. Briscoe and Westbrook are winless at Long Beach, but they'll be coming off of their high from winning the Rolex 24 at Daytona earlier this January. "What’s so fun about GTLM is that you have manufacturer support, professional drivers with experience, managed and ran by professionals in the pits," Hull told The Drive. Because of this, there are "no weak links anywhere" in the top-level GT category according to the 26-year exec. 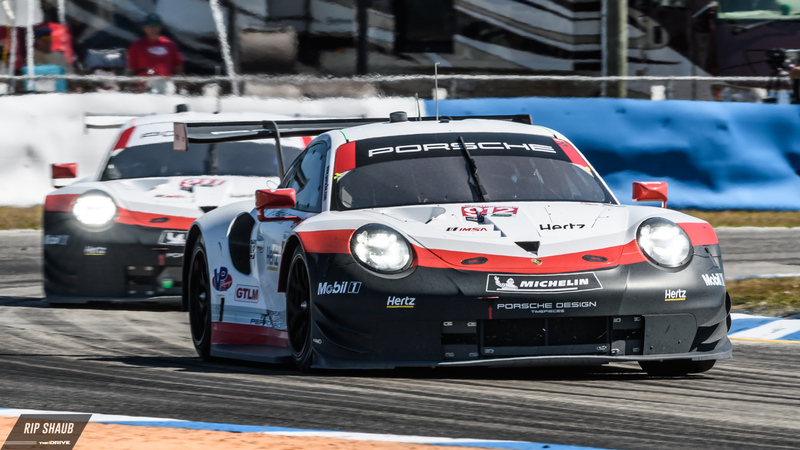 Porsche is assuredly feeling it after an A-1 performance at Sebring last month. Each team member held its head up as a result, and they'll likely carry that same attitude with them to Long Beach. It'll be intriguing to see how the RSR 911s adapt to the small, quick layout at Long Beach with their shrieking engines and sky-high redlines. Patrick Pilet, Nick Tandy, Earl Bamber, and Laurens Vanthoor will have to work creatively to keep their machines in the powerband throughout the tight curves, but if anyone can tame the Stuttgart racers, this is the team to do it. Finally, BMW hopes to defeat its underdog status and capitalize on the improvement it saw in March. As Team RLL continues to work through its growing pains with the all-new M8 GTE, it's becoming clearer that it can genuinely fight for race wins. 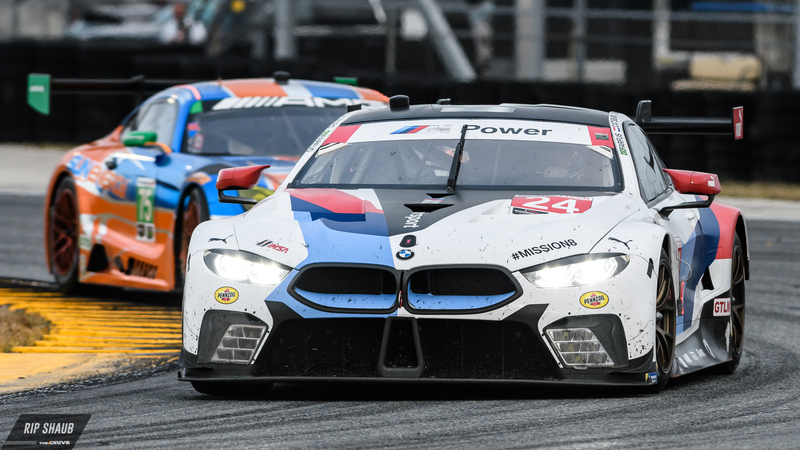 BMW Motorsport head Jens Marquardt is consistently working with the brand's IMSA and World Endurance Championship outfits to perfect the car's performance, and it's starting to show. A pole position at Sebring and eventual P2 boded well for the Bavarian entries, so pay attention to the No. 24 and No. 25 cars as they look to trump their more proven competitors. Risi Competizione will be sitting out this round of the IMSA WeatherTech Sportscar Championship with its Ferrari 488 GTE Evo staying put in Houston for further prep work ahead of its race return later this season. Jordan and Ricky Taylor have each taken home overall victories at Long Beach for three years running. Their father's team Wayne Taylor Racing has entered the event once again in 2018, but without one key member—his oldest son. Ricky left for Team Penske Acura this season and is now in direct competition with his family's No. 10 Cadillac DPi-V.R, now joining Helio Castroneves in the No. 7 Acura ARX-05 prototype. The two have driven against each other at Daytona and Sebring already, splitting the difference with Ricky besting Jordan at the Rolex 24 and the latter finishing ahead at last month's 12-hour event. This will likely be a more closely-fought bout between the two with less time for things to go awry, not to mention their expertise at this particular track. This will be Penske's first sports car race at Long Beach since its days with Porsche in the late '00s. Its maiden voyage in 2018 brought about a few problems that landed both Acuras out of contention, and Sebring saw more turmoil as the No. 7 car retired just 172 laps into the half-day race. Taylor, as well as his crew, will be looking for an improved run this weekend to rekindle prior successes that include an IndyCar victory there for Castroneves in 2001. Conversely, WTR is rolling from its Sebring performance which resulted in a P2 finish. Jordan and his new teammate Renger van der Zande are beginning to gel as a unit and will need to fight off Mazda Team Joest, CORE Autosport, and the most recent race winner Tequila Patron ESM in addition to Penske to clinch a fourth consecutive win. 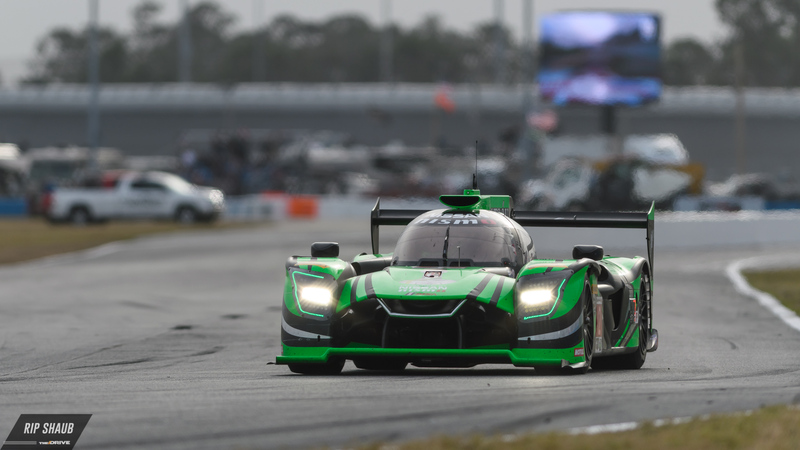 The crew's seasoned Cadillac racer has been a dominant platform since the installment of new DPi rules and will have a list of strengths to exploit against its international competition. Qualifying for the Long Beach round of IMSA WeatherTech competition will take place on Friday, April 13 at 4:45 p.m. PST. Look for teams to take this bit more seriously than at Daytona or Sebring as starting position will be more crucial in the sprint format. 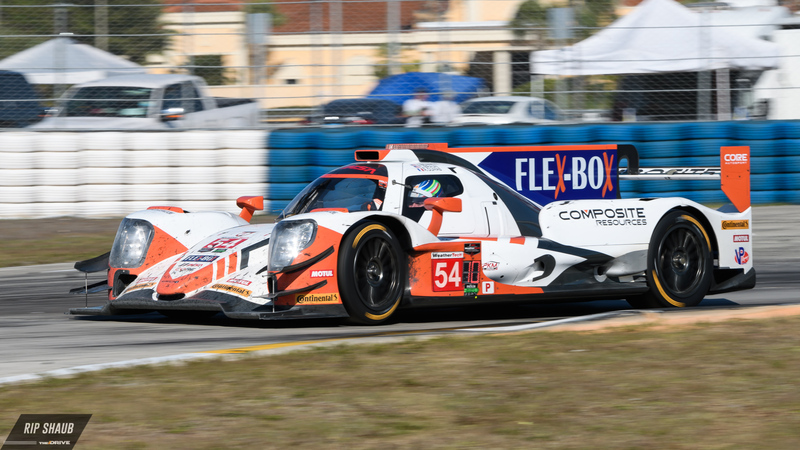 Cadillac prototypes have taken pole at the first two races of the 2018 campaign. Action at Long Beach will be decidedly more frantic with the close quarters and shortened running time. Competitors from both classes will need to focus on strategy and pay attention to what their rivals are doing in order to plan out pit stops with only one likely in GTLM and two scheduled for Prototypes. Expect that to be the deciding factor, along with heaps of speed and luck, that will place the top finishers in Victory Lane. Stayed tuned to The Drive throughout the weekend as we provide full written and photo coverage of the Long Beach Grand Prix event, April 13-15.